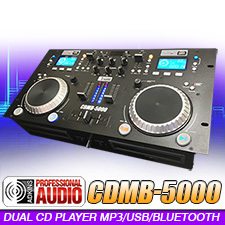 CD Players - Great Prices - Shop here and Save. Welcome to your one stop online shop for only the finest American audio CD players and American audio cd players. 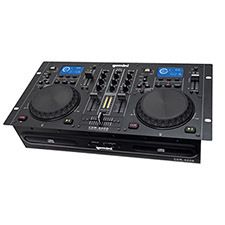 Find items such as our professional CD players, our professional dual CD player selection, DJ equipment CD players, affordable disc jockey cd player, and more. 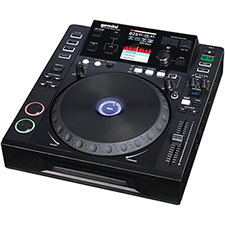 Whether you are looking for American audio equipment, rack mountable CD player, a professional DJ CD player, affordable Gem sound DJ cases, or for any of our other dual CD players, we offer the finest selection of equipment such as a dual cd player, or a rack mount cd player, and a dj rack mount cd player. CDs and DVDs are everywhere these days. Whether they are used to hold music, data or computer software, they have become the standard medium for distributing large quantities of information in a reliable package. Compact discs are so easy and cheap to produce that America Online sends out millions of them every year to entice new users. And if you have a computer and CD-R drive, you can create your own CDs, including any information you want. A CD is a fairly simple piece of plastic, about four one-hundredths (4/100) of an inch (1.2 mm) thick. Most of a CD consists of an injection-molded piece of clear polycarbonate plastic. During manufacturing, this plastic is impressed with microscopic bumps arranged as a single, continuous, extremely long spiral track of data. We'll return to the bumps in a moment. Once the clear piece of polycarbonate is formed, a thin, reflective aluminum layer is sputtered onto the disc, covering the bumps. Then a thin acrylic layer is sprayed over the aluminum to protect it. The label is then printed onto the acrylic. Inside the CD player, there is a good bit of computer technology involved in forming the data into understandable data blocks and sending them either to the DAC (in the case of an audio CD) or to the computer (in the case of a CD-ROM drive). The fundamental job of the CD player is to focus the laser on the track of bumps. The laser beam passes through the polycarbonate layer, reflects off the aluminum layer and hits an opto-electronic device that detects changes in light. The bumps reflect light differently than the "lands" (the rest of the aluminum layer), and the opto-electronic sensor detects that change in reflectivity. The electronics in the drive interpret the changes in reflectivity in order to read the bits that make up the bytes. The hardest part is keeping the laser beam centered on the data track. This centering is the job of the tracking system. The tracking system, as it plays the CD, has to continually move the laser outward. As the laser moves outward from the center of the disc, the bumps move past the laser faster -- this happens because the linear, or tangential, speed of the bumps is equal to the radius times the speed at which the disc is revolving (rpm). Therefore, as the laser moves outward, the spindle motor must slow the speed of the CD. That way, the bumps travel past the laser at a constant speed, and the data comes off the disc at a constant rate.